While you were sleeping or up all night talking to God, The National released a video (below) for new song The System Only Dreams in Total Darkness and announced that their highly-anticipated next album, Sleep Well Beast, will be released on September 8th on 4AD. 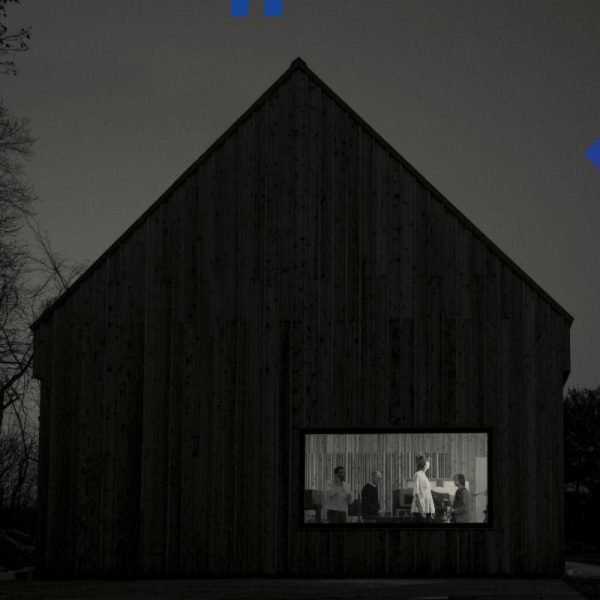 Sleep Well Beast was produced by the band’s Aaron Dessner with co-production by twin Bryce Dessner and singer Matt Berninger. The album was recorded at Long Pond, Aaron Dessner’s Hudson Valley, New York studio, with added recording sessions in Berlin, Paris & Los Angeles. The System Only Dreams in Total Darkness (lyrics at very bottom) is a spectacular intro to the album, opening with Brian Wilson-esque high-harmonies and showing new musical cards, including agitated guitars, synthesized sounds and a ripping classic-guitar solo to go with Berninger’s vocals and the much-loved gestalt of the band. Check out the Casey Reas-directed video below. Sleep Well Beast is available for pre-order HERE. The band also announced a World Tour in support of the album beginning in September, with several California shows in October. See list of dates at bottom. Word to the wise: you need to pre-register to enter the lottery for the ticket pre-sale that begins Monday, May 15th HERE. Public sale begins Friday, May 19th. Every ticket in North America will include a digital copy of Sleep Well Beast delivered on September 8th.